Need 511 road conditions even faster? Skip the menus and sign up for your PERSONALIZED 511 commute on www.mdottraffic.com . The traffic alerts for your commute will be played at the beginning of your call. 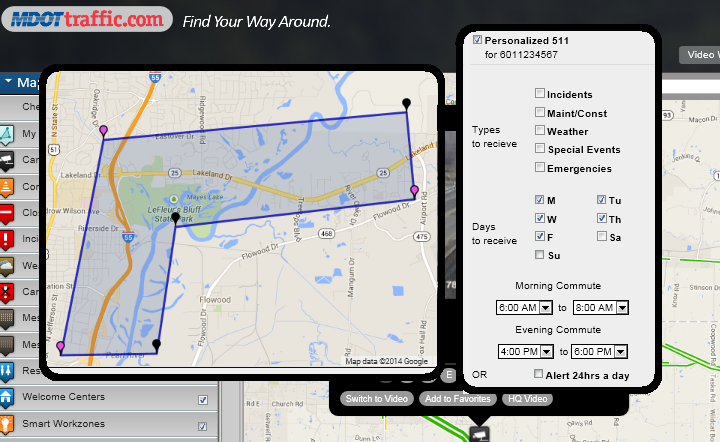 See the 'Personalized 511' section for more information. 511 is America's Traveler Information Telephone number. On March 8, 1999, The U.S. Department of Transportation (USDOT) petitioned the Federal Communications Commission (FCC) to designate a nationwide three-digit telephone number for traveler information. On July 21, 2000 the Federal Communications Commission designated "511" as the single traffic information telephone number to be made available to states and local jurisdictions across the country. Typical Traffic reports are accidents, vehicle fires, disabled vehicles, construction alerts, and weather warnings and advisories. Weather provides a 36 hour forecast for a city or county. Welcome centers and rest areas supply traveler's basic information like location and the ability to be transferred to the welcome center. Travel times offer the traveler a chance to get an idea of how long their trip may take. You can say the name of a covered route, and give your exit number and you will hear how long it takes to get to the next 3 exits. 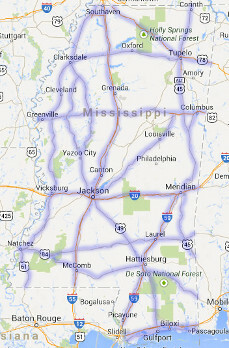 Tourism offers a transfer to numerous tourist locations throughout Mississippi. Public Transit offers basic information on our 3 largest public transit choices. You can always leave feedback by saying "Feedback" at any time. We appreciate your comments and ideas.